The surviving spouse and minor children of a fully insured worker are entitled to certain benefits. 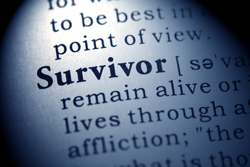 Helping clients claim survivor benefits, however, is not always a straightforward process, especially considering that it's becoming more common for both spouses to have social security work records. I find that a great way to evaluate the many available strategies is to think through an example, so I created this mini case study. The worker to whom your client was married died fully insured. The client was married for at least nine months before the worker died. The client must be at least 60 to claim reduced benefits. Full benefits are available to your client at his or her full retirement age. The client must not be married. If your client and the deceased spouse had divorced, your client may still be eligible to claim survivor benefits. Survivor benefits are 100 percent of the deceased worker's primary insurance amount (PIA) plus delayed retirement credits. The benefit amount is reduced if it is claimed before the full retirement age, but it cannot be reduced below 71.5 percent of the PIA. Michelle, age 60, was married to James for many years before he passed away suddenly last year. Both James and Michelle had successful careers with high earnings. Michelle is eligible for a full survivor benefit of $2,400 per month at age 66 (100 percent of James's PIA) or a reduced survivor benefit of $1,716 per month at age 60 (71.5 percent of his PIA). Michelle is also eligible for her own worker benefit of $1,500 per month at age 62 or $2,000 per month at age 66. Michelle visits her financial advisor, Erin, who analyzes the different strategies that she can choose from. Erin suggests the following three options for claiming survivor benefits and funding her retirement. Option 1: Michelle receives survivor benefits at age 60. Electing to receive the $1,716 survivor benefit starting at age 60 may appeal to her for a couple of reasons. First, this amount is higher than the early worker benefit of $1,500 available to her at age 62. Second, she is able to claim this survivor benefit two years earlier than her own worker benefit. Option 2: Michelle delays benefits until age 62. Michelle can choose to hold off on taking benefits until age 62, at which point she can then take her $1,500 worker benefit. Once she reaches her full retirement age of 66, she can switch over to the full survivor benefit of $2,400 (100 percent of James's PIA). Option 3: Michelle takes early survivor benefits and delays her own. She can also choose to take $1,716 in early survivor benefits at age 60 while delaying her own worker benefit until age 70. This allows her own record to accrue delayed credits before she switches over to it at age 70. This will add an additional 32 percent to her worker benefit, bringing the monthly amount from $2,000 up to $2,640 at age 70. The answer depends heavily on a client's need for income and health status, as each of the above strategies has different advantages and disadvantages. If a client is in poor health, a common strategy is to begin benefits as early as possible to maximize how much is taken out of the system before death. For a healthy spouse with longevity in the family, a strategy to maximize the income over a long period of time may be preferable, provided that current income needs are satisfied. Returning to our fictional client, by educating her about the implications of all possible decisions, Michelle's advisor helped enable her to make an informed decision as to which option is best for her circumstances and wishes. You can provide the same holistic perspective for your own clients. Have you helped a client in a similar situation as Michelle? Did you run into any challenges? How did you overcome them? We'd love to hear your thoughts!